Mrs. Mary Colleen Black Zeigler, 87 of Morehead, passed away Monday evening at the home of her daughter in Ashland, Kentucky. She was born in Haldeman, Kentucky on August 29, 1931 to the late John and Ethel Conn Black. 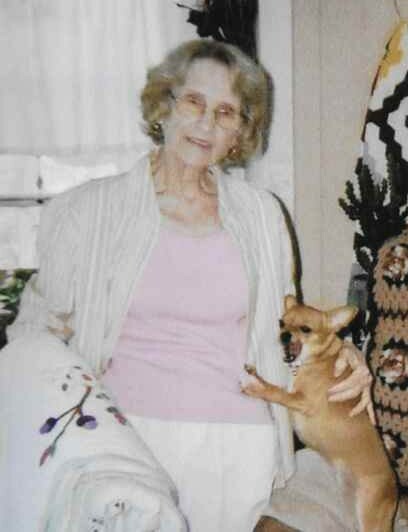 Mrs. Zeigler was of the Pentecostal faith and enjoyed quilting crocheting, sewing, caring for her flowers, spending time with her grandchildren and shopping at Wal-Mart. Besides her parents she was preceded in death by her husband, Randall Dale Zeigler, a son, Michael Zeigler, Two brothers, Edward Black and Bobby Joe Wilson and a sister, Myrtle Evans. Survivors include three sons, Jerry Zeigler of Morehead, Terry Zeigler and his wife Tammy of Lexington, Kentucky and Harold Zeigler and his wife Barbara of Olive Hill, Kentucky. Two daughters, Janet Prince and her husband Michael of Loris, South Carolina and Kathy Harris and her companion Mike Frost of Ashland, Kentucky. One sister, Emma Jane Harris of Morehead. Sixteen Grandchildren, twenty nine great-grandchildren and two great-great-grandchildren. Also, several nieces, nephews and other relatives and friends who will miss her. Funeral services will be conducted 2:00 P.M. Saturday in the chapel of the Michael R. Gray Funeral Home with Rev. Lloyd Dean officiating. Burial will follow in the Bowen Chapel Cemetery in Carter County. Visitation at the Michael R. Gray Funeral Home in Morehead is after 12 Noon on Saturday. Pall bearers will be Jerry Zeigler, Dustin Zeigler, Eric Zeigler, Randy Zeigler, Jr. Gene Zeigler, Randy Zeigler, III, Josh Harris and Scott Harris. The Michael R. Gray Funeral Home in Morehead is caring for all arrangements for Mrs. Mary Colleen Black Zeigler.